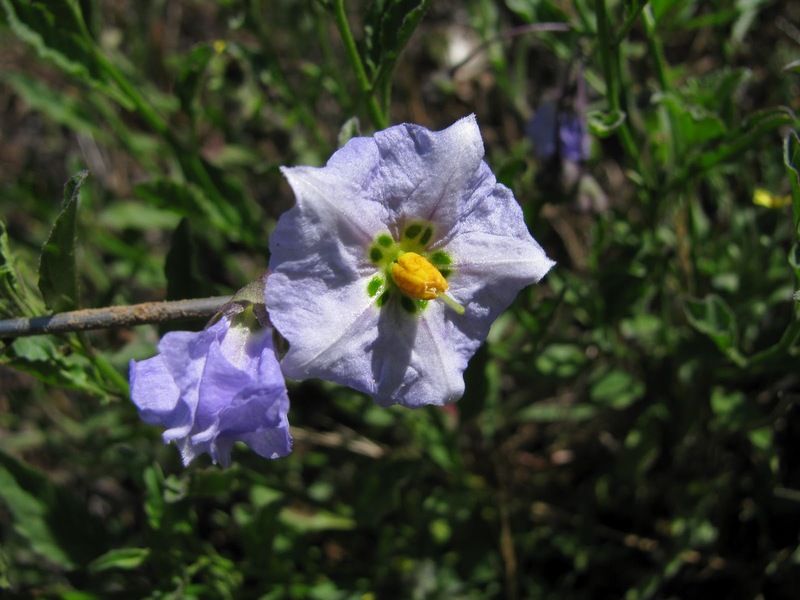 Beginning in 2009, IAE, in cooperation with the Medford BLM, has been conducting a fire ecology experiment in Jackson County in order to create a better understanding of the effects that fire has on the growth and reproduction of Parish’s horse-nettle (Solanum parishii). Prior to this study, very little experimental research had been conducted looking specifically at this species' response to periodic burning. Controlled burning was conducted on two BLM locations, Hukill Hollow and Woodrat Mountain, with known populations of Parish’s horse-nettle. Fire suppression has occurred in the area since the beginning of the 20th century when much of the native grassland and oak savannah landscape was converted into pasture and urban space. However, it is possible that recruitment and survival of S. parishii, along with several other natives could benefit from periodic natural disturbance. Parish's horse-nettle is a small perennial in the Solanaceae (potato) family found in dry chaparral communities. 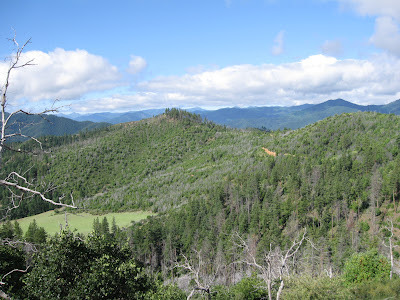 Its native habitat ranges from southern Oregon into Baja California at elevations of less than 2000 feet. Approximately thirty populations have been documented within the Medford BLM district occurring in Jackson, Josephine, and Curry counties. 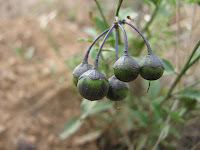 In mid-summer the plant produces umbel-like infloresences with white to purple flowers. After fertilization, the plant produces berries that change from green to purple in color. Individuals measure less than one meter in height and grow in a branching formation. The lanceolate leaves exhibit wavy margins and measure between 2 and 7 centimeters long. In 2009, IAE established 40 sample plots at two locations outside Jacksonville, each plot measuring 3 meters by 6 meters. Half of the plots were assigned to receive a burn treatment and half were left alone to be control plots. 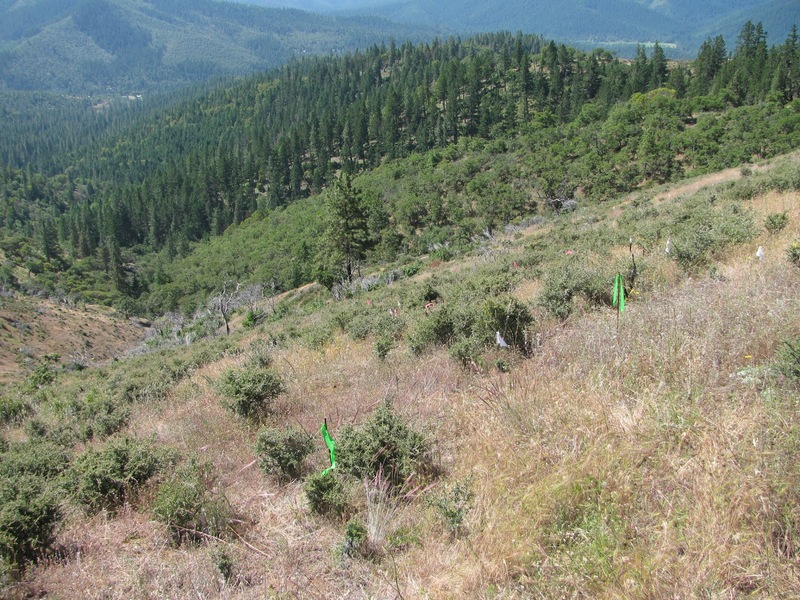 All S. parishii plants located within the plots were mapped and measured to establish baseline population data. Data collected included the maximum and perpendicular widths of the plant, the total number of fruits and flowers, and the presence or absence of insect and mammal herbivory. Controlled burns were conducted in the fall of 2010 and annual monitoring has continued through this year. Based on 2011 data, there was no evidence of fire effects on reproductive effort (calculated by the sum of fruits and flowers within the population). However, one of the two sites did exhibit an increase in the mean size of S. parishii plants within burn treatment plots. Both sites appeared to experience a high level of mammal herbivory. The final data analysis conducted this year will provide valuable information about whether periodic controlled burning is an effective management tool in areas that host Parish’s horse-nettle populations.